While many homeowners choose to live with cracks and other damages in their concrete paths or sidewalks, driveways are a different story. If your driveway is beginning to split or crumble, the marring could easily spread to the entire surface until all you are left with is rubble. Before you incur the expense of pouring an entire new driveway, make repairs as quickly as possible and keep your existing one looking nearly as good as new. 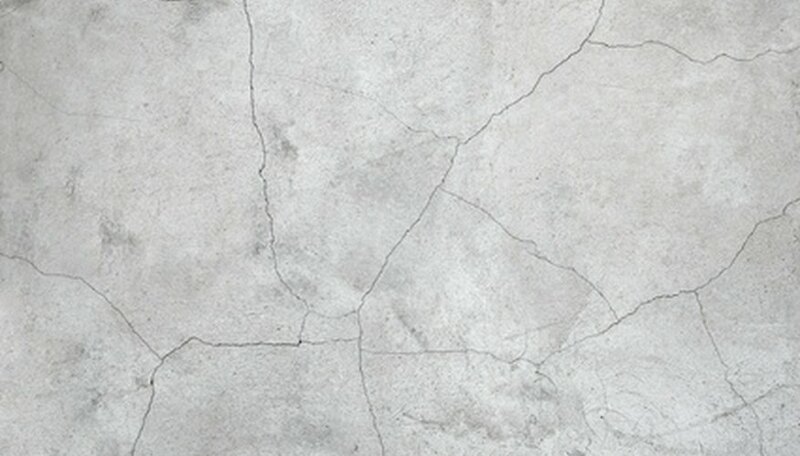 Resurface your driveway with a skim-coat of new concrete to stop crazing from becoming larger cracks and breaks. Clean the driveway well with concrete cleanser. Rinse the concrete and let it dry overnight. Use a large paintbrush to coat the crazing areas with a thin but ample application of concrete bond. Try to keep the bond as even as possible across all of the crazed areas. Wait about five minutes, until the bond becomes slightly dry and sticky. Trowel on a layer of prepared concrete with a smooth metal trowel. Make the concrete no thicker than 3/8 of an inch. Lightly brush the flat side of the trowel over the concrete until the surface is smooth and let the concrete dry three to five days. Select a silicone latex caulk that is similar in color to the concrete of your driveway. Unscrew the cap on the caulk and use the included pin to pierce open the top of the bottle, if necessary. Place the opening of the caulk as far into the crack as you can. Squeeze out caulk with steady, moderate pressure until the caulk rises up around the top of the bottle 1/8 to 1/4 inch high. Hold the blade of a putty knife parallel to the driveway and use the flat side of the metal to flatten and smooth the caulk, as if you are icing a cake. Turn the knife 45 degrees and scrape the edge of the blade against and perpendicular to the concrete to remove extra caulking; let the caulk dry 24 hours. Purchase an epoxy repair kit at a home improvement or hardware store. Take out the plastic injection ports and remove the caps. Push an injection port into the crack as far as possible, as close to one end as you can. Insert another port at the another end in the same manner. Place the other injection ports securely into the crack between the two anchor ports, spacing them ½ inch to an inch apart. Apply epoxy adhesive thinly over, in and around the entire crack with a small paintbrush; work carefully around the ports and do not paint over them. Wait for the adhesive to become sticky and fill the injection ports with epoxy from the lowest port to the highest. Cap each port, let the epoxy dry 48 hours and remove the ports. Loosen any weak pieces of concrete from around holes or disintegrating areas before patching them. Rub briskly over each area with a stiff-bristled brush. Rinse away the resulting concrete debris and let the driveway dry overnight. Lightly mist the first area to be filled with water from a spray bottle. Use a small trowel or a putty knife to scoop up some concrete patch. Push the patch deeply into the depression and cover the bottom surface so that the patch is about 3/8 inch thick. Wait half an hour for the patch base to set. Fill the damaged area with more concrete patch and make it thick enough so that it is even with the rest of the driveway. Smooth the concrete surface with the trowel or putty knife and finish mending the rest of the areas; let patched concrete dry 48 hours.